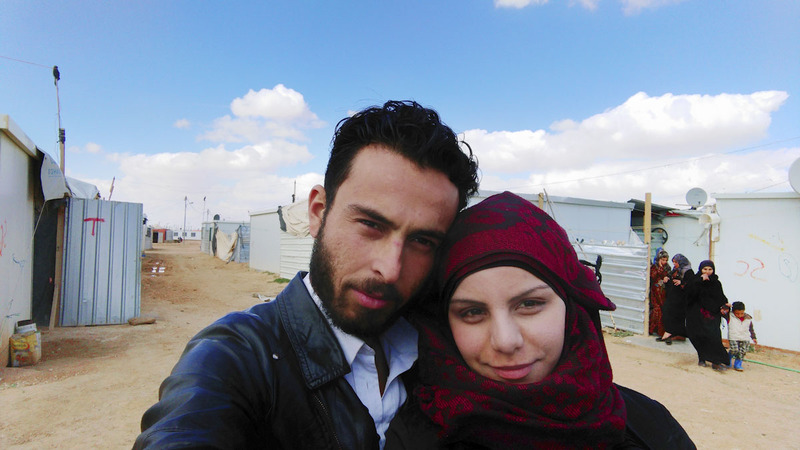 They met in the camp, when one day she entered a small mobile phones shop he is running in a crowded and busy street which cuts across the camp. They noticed each other, then he went to her family to ask for her hand. The family loved him, as he was gentle and reminded them of their son who died one month earlier fighting in Syria. She was a brilliant student at the medicine university, she has a charming attitude, no surprise that he fell for her.